This hotel is located 20 minutes outside of downtown San Antonio and the River Walk. The hotel offers guests a continental breakfast, business center and an outdoor swimming pool. Guest rooms at the Hampton Inn San Antonio Northwoods are equipped with free Wi-Fi, on-demand movies and video games. All rooms feature a work desk and coffee maker. A fitness centre is also available on site. 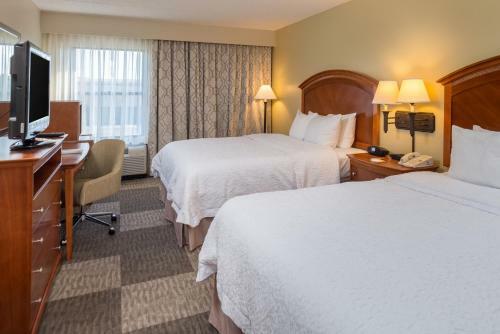 San Antonio Northwoods Hampton Inn is within walking distance of the Northwoods Shopping Center. The University of Texas at San Antonio is a 20-minute drive from the hotel and Six Flags Fiesta Texas is 15 minutes away. 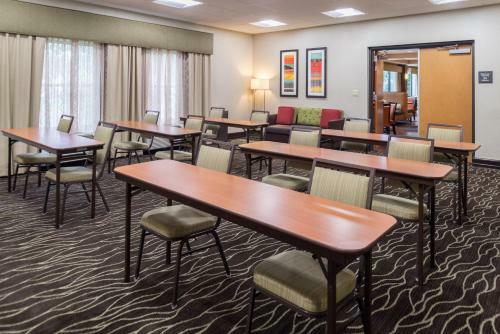 the hotel Hampton Inn San Antonio Northwoods so we can give you detailed rates for the rooms in the desired period.